Christendom Press is the imprint of Christendom College, a Catholic coeducational college institutionally committed to the Magisterium of the Roman Catholic Church. 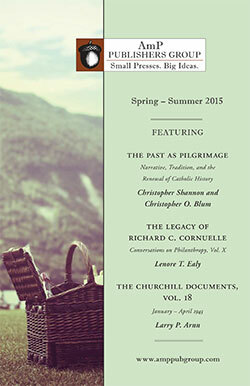 Christendom Press is dedicated to the defense of Christian society and the renewal of Catholic intellectual life. The press offers works grounded in a traditional consideration of the liberal arts and the relationship between faith, reason, and culture. At the heart of the press are its historical works, especially those of Warren Carroll, the founder and first president of Christendom College. These and the press's other titles--in the areas of theology, philosophy, politics, and education--often challenge reigning secular or ideological assumptions about history, human nature, politics, and transcendent truth. For more information about Christendom College, visit http://www.christendom.edu/. The long-awaited sixth and final volume to the late Warren Carroll’s highly regarded history of Christendom covers the years 1815 through 2005. This controversial work of biblical criticism presents linguistic arguments for the original Hebrew text of St. Matthew’s Gospel. Using rigorous philological techniques, Tresmontant translates the Greek of Matthew back into the Hebrew, uncovering fascinating nuances and implications obscured even to scholars of the standard Greek text. Noted Italian theologian and philosopher Pancheri revisits a crucial question of the Middle Ages and shows its perennial importance for Christian society: If the Incarnation is, in some sense, caused by the Fall of Adam and Eve, then how can Christ be said to have primacy in all things? This Is My Body is a popular apologetic written in terms engaging and accessible to evangelical Protestants. Shea treats standard misconceptions and objections to the teaching on the real presence of Jesus in the sacrament of the Eucharist, showing most to be simple errors in logic or ironic oversights in scriptural exegesis.